While installing any app from Google Play, users come across the app permission request. For instance, the message prompted on the mobile screen reads, “Allow Messenger to send and view SMS messages? ” you may choose to deny or allow it, the choice is yours. But, it is essential to know which permissions are being requested and what actions will be performed. These requests show up only once on your mobile and it requires your authorization to access confidential data or hardware on your tablet or phone. Apparently, there are two groups of permissions namely the normal and dangerous. The ‘normal’ set of permission does not pose risk to the system hardware or data. It is something similar to Android that permits apps to obtain the Internet without the user’s permission. The ‘dangerous’ permission set, is capable of letting out key user information such as calling history, private messages, location, etc. Hence, Android apps will seek user approval when it melts down to dangerous permissions. In the older versions of Andriod apps, authorizing conceivably dangerous permission groups was completely different. The user was entitled to approve everything in the app before installation. In the case where a user chose to decline the app never got it installed on their device. The app developers had the opportunity to sneak in permissions that went beyond the scope of their app. With the release of Android 6.0, things changed drastically. Today, Android app allows you to choose which permissions to accept after installation. People who take extra interest in their security and privacy should have an eye on the below-mentioned apps. They conceal within multiple permissions and approving any one of it can open the doors to access for others within the same group. For instance, if you allow an app to make phone calls, you’ll permit it to see who’s calling you, as well. The body sensors access complete health data of the user. Pros: Any health check or fitness app would need the users’ permission to monitor the heart rate while you exercise, and offers health tips, and more. Cons: On the worse side, it is a malicious app that can spy on the user’s health. The calendar app allows to create, read, edit, or delete the user’s calendar events. Pros: A calendar apps obviously need the permission of the user to do such things. Cons: However, a malicious app can spy on the personal routines. The apps for camera allows taking photos and record videos. Pros: Requires permission for taking pictures. Cons: The malicious app can spy and record and save all the activities. The contacts apps allow to create, store, edit and read in the contact list. This includes Facebook, Instagram, Twitter, etc., used on the particular device. Pros: The communication app helps maintain contacts. Cons: A malicious app can pull out the user’s text or call details and also the entire contact list. The location app enables to access your approximate location. Pros: Geo-tag your photos, and Shopping apps can determine your address for delivery. The microphone app allows recording audio. Pros: Listen to any music you want, send voice messages to your friends and more. Cons: A malicious app can covertly record everything. The user will never know. The app allows knowing phone number, current cellular network information, etc. Pros: The communication apps let you see who is calling. Cons: A malicious app can spy on your phone habits and make calls without your consent (including paid calls). The SMS app allows SMS messages, WAP push messages, and MMS messages. Pros: The communication app allows the user to let you message their friends. Cons: The malicious app can spy on your messages. The storage apps allows to read and write in the internal or external storage. Pros: The music app can save downloaded songs. Cons: A malicious app can secretly read, change, and delete. If you find any activities or files that are lying suspiciously in your smartphone, it might be a sign of malware infection. It is more capable of transferring your files or sensitive information to other locations. Some malware can even wipe out the data stored on your smart device. The best way to remove malware from your android device and prevent future infection is to install a good android antivirus software like Comodo Antivirus for Android devices. Install Comodo Antivirus and run a full scan to identify and remove malware on your device. Helps in recovering mislaid, lost or stolen devices. Includes swipe feature which deletes all the data when the device is unrecoverable. Helps in preventing data loss. The user can back up crucial data such as contact lists, text messages, etc. Helps in data privacy. The contacts, phone numbers, and text messages are made visible only to the device owner. Helps in monitoring the traffic of your android phone with the help of an advanced firewall. 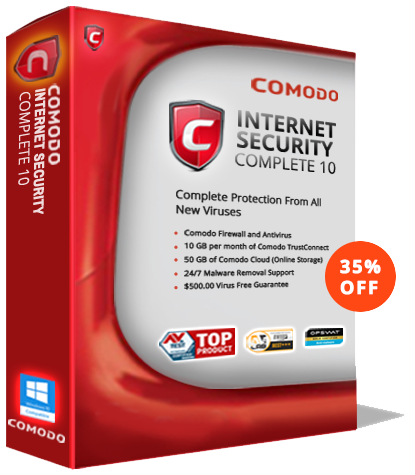 Besides these, there are more beneficial antivirus features, visit Comodo Antivirus App for Andriod to know more. Obviously, Google’s Play does not offer enough protection, Android users can rely on Comodo’s Android Antivirus. So download for free and protect your Android devices.For more details about Comodo Android Antivirus, visit the Android App official page.